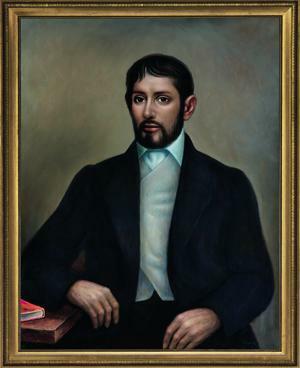 Louis Moinet was born in Bourges in 1768. While still a child, he developed a passion for watchmaking and spent all his free time with a master-watchmaker. An Italian painter also gave him private drawing lessons. By the time he was of 20, Louis Moinet left France for Rome, where he lived for five years, studying architecture, sculpture and painting. He became acquainted with members of the Académie de France, which encompassed some of the finest artists of the times. Upon returning to Paris, he was appointed Professor of the Académie des Beaux-Arts, in the Louvre. He became a member of several scholarly and artistic societies, and cooperated with eminent artists such as the astronomer Lalande, the bronzier Thomire, and Robert-Houdin, the skilled automaton-maker who is considered as the "renovator of magical art". 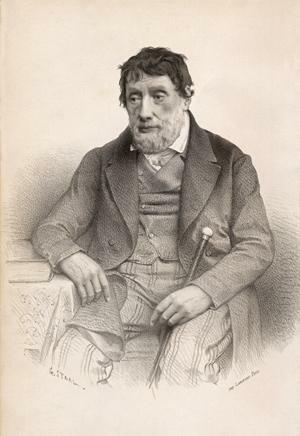 Louis Moinet was appointed President of the Société Chronométrique de Paris, whose membership included some of the greatest talents of the era. He cultivated ties with his fellow members including Louis Berthoud, Antide Janvier, Louis-Frédéric Perrelet, Joseph Winnerl, as well as Vulliamy, who served as the King's Watchmaker in London. In the course of his career, Louis Moinet created some extraordinary clocks for such eminent figures of his era as Napoleon Bonaparte, American presidents Thomas Jefferson and James Monroe; King George IV of England, King of Naples Marshal Murat, Marshal Ney, along with many crowned heads the length and breadth of Europe. The one belonging to James Monroe is one of the original objects adorning the White House as it now stands. As for the Napoleon clock, it was made in 1806. Equipped with an eight-day movement, its grand originality stems from an exceptional mechanism displaying the moon phases inside the day hand, by means of a tiny ivory ball. Today, these masterpieces are preserved in major European museums such as the Louvre in Paris, the Château de Versailles or the Palazzo Pitti in Florence, as well as in the United States in Jefferson's Monticello museum and even in the White House. As a maker of precision instruments, Louis Moinet perfected various techniques in these fields and developed several important new improvements. To enhance his astronomical observations, he invented a sensational instrument: a counter in the shape of a watch displaying 60ths of a second. The obvious advantage was a degree of superior to any other time measurement. One of its particularly original features was a jewelled escapement that oscillated at 216,000 vibrations per hour without any trace of wear nor increased friction during prolonged use. 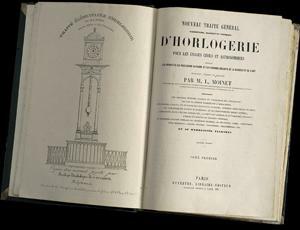 Louis Moinet is in particularly renowned for his famous Traité d'Horlogerie, published in 1848 and widely reputed to be the finest book on horology of the century. Comprising descriptions of the finest watchmaking techniques, it was appreciated by the great watchmakers of his era such as Frodsham, Perrelet, Saunier and Winnerl, as well as by several other scholars and connoisseurs such as HRH Prince Alexander of Orange - all of whom appear on the list of the numerous subscribers to a book that was reprinted three times and circulated as far afield as Russia. 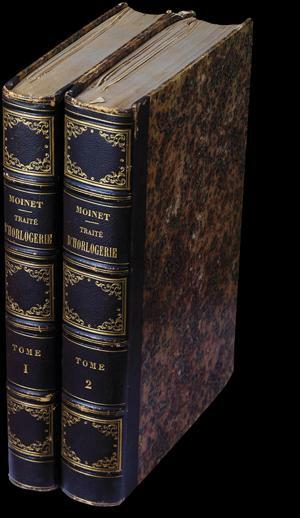 Louis Moinet devoted twenty years of his life to writing this two-volume treatise, which remains highly sought after to this day. 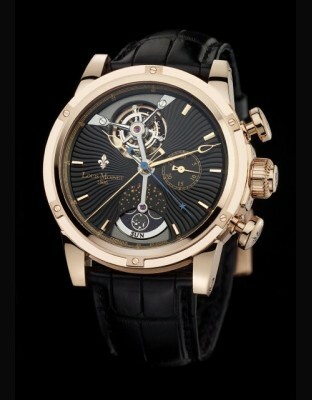 The work of Louis Moinet consisted in giving life and soul to matter. Dedicated to excellence and extremely modest by nature, Louis Moinet was driven by the ambition to advance his Art rather than a desire for commercial profit - which is why he freely shared his ingenious ideas with his fellow watchmakers. Acknowledged by his peers as a good-hearted man of outstanding intellect, he died in Paris on May 21st 1853, at the age of 85. Jean-Marie Schaller is known as a specialist of historical brands. He fell in love with Louis Moinet's unique universe and represents the younger generation in charge of maintaining the company's traditions. With the assistance of his wife, Micaela Bartolucci and a team of valiant designers, movement engineers, watchmakers and craftsmen, he offers an innovative concept called "Les Ateliers Louis Moinet". This name covers a network of independent workshops working together towards the success of the brand. Watchmaking has always been an occupation for enthusiasts and strong personalities, and there is no doubt that these workshops count amongst their ranks some of the most creative talent available in watchmaking. These craftsmen are the jealous guardians of the manufacturing secrets passed on to them by their predecessors and have no intention of revealing them to anyone… Working for Louis Moinet on the manufacture of innovative and different types of products enables them to show their skills to advantage. Louis Moinet has opted for a really genuine approach. This involves not merely repeating what has been done in the past but aiming for something truly innovative. The "Côtes du Jura"TM invention is worthy of mention in this regard. This very special design is part of the brand's DNA. It requires all the skills of the craftsmen from the Jura region, as the manufacturing method is particularly complex. A patent was registered to protect the innovative technology used to produce the TEMPOGRAPH model, which showcases all the magic of mechanical watchmaking, right there on your wrist! A second patent covers the crown protecting device, particularly useful for simplifying after-sales services. A third patent was registered with regards to the innovative lever system activating the JULES VERNE chronograph. This is a unique concept much like a bridge between 19th century creations and those of modern times. The DNA of this brand is linked both to its legendary imagery and to state-of-the-art inventions. Louis Moinet has manufactured works of art for kings, heads of state and other dignitaries. The message conveyed today has not changed over the years: Louis Moinet watches are designed for the important people of our time. A Louis Moinet watch remains a rare object: annual production does not exceed a few hundred watches.